The 6100N Ethernet enabled time and frequency monitoring and synchronisation clock system provides an integrated display of time and frequency information for power station control and distribution centres. In addition to displaying an accurate standard time, the time derived from the supply frequency and the time difference the clock has an accurate frequency meter. 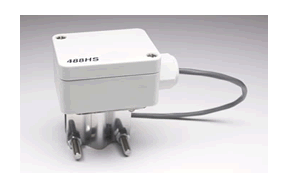 Triple isolated relay contact pairs are available to signal selectable time intervals, status and error conditions. The clock can be remotely configured by either its IR handset or by its Ethernet NTP port. 330 x 135 x 66mm - 13" x 5.3" x 2.7"